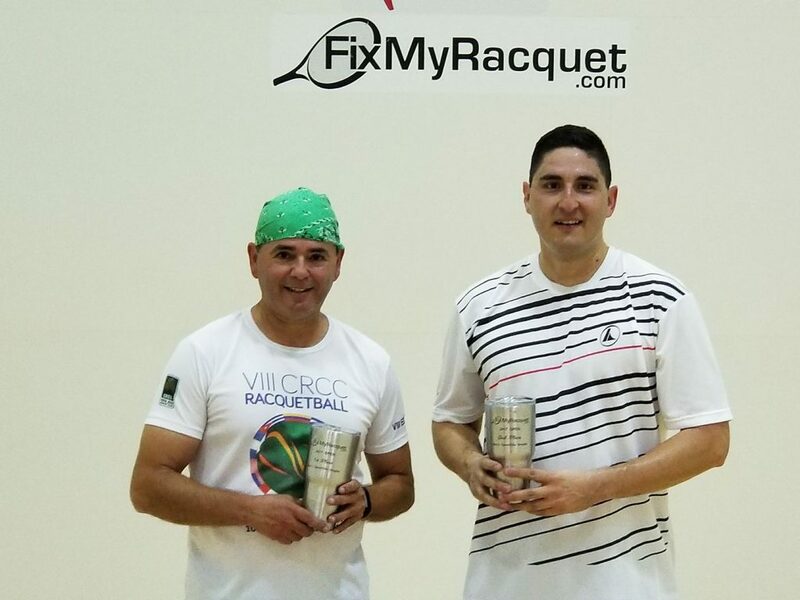 This weekend, the FixMyRacquet.com Open was held at the Clay Madsen Recreation Center. Howard Walker & Dragana Bulatovic ran the tournament desk and made sure everything ran smoothly. Thanks team! 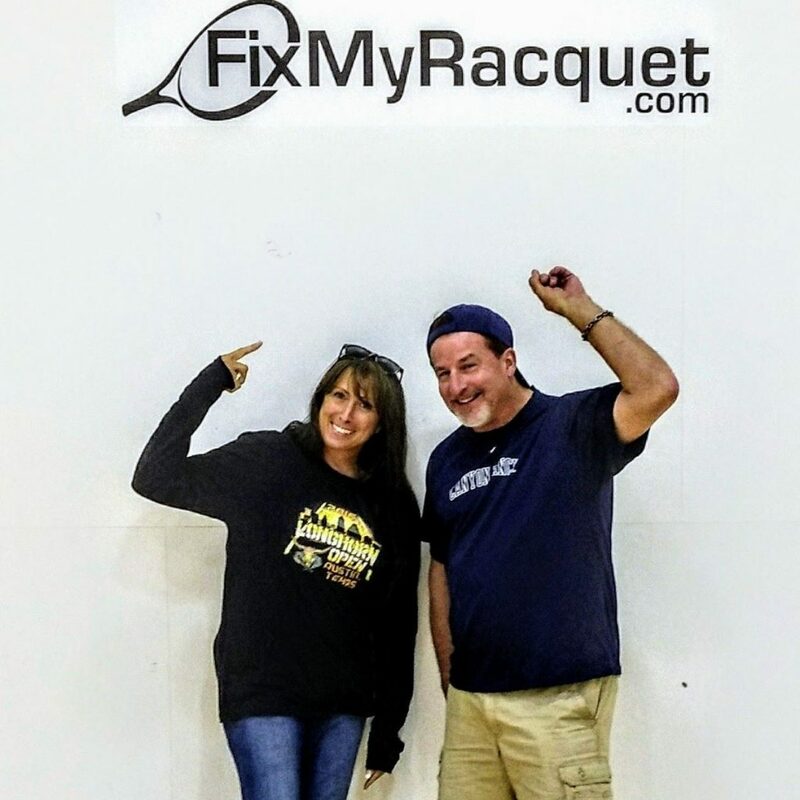 Michelle and Randy Clark of FixMyRacquet.com were there the entire weekend, ensuring that everyone had what they needed to keep the players fed and happy and playing. Sandy Long coaches the Texas Junior Racquetball Team from Arlington. 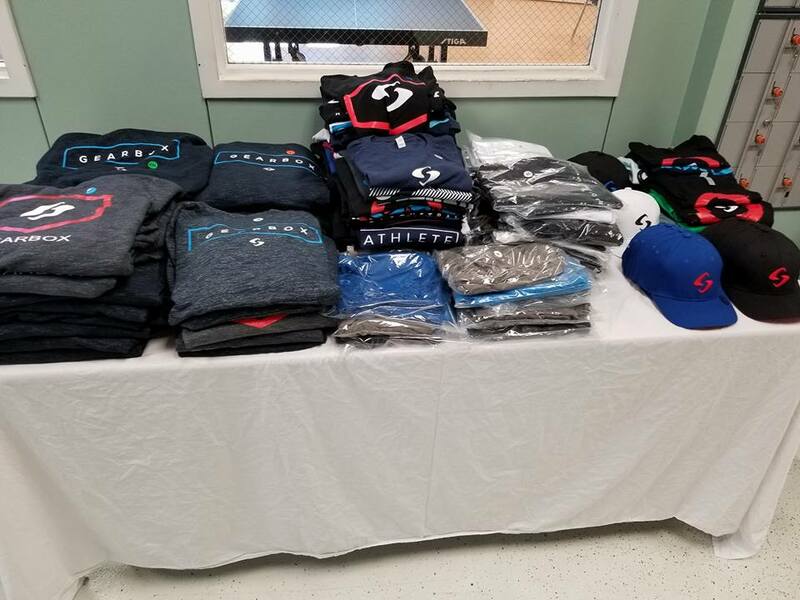 When she travels to tournaments, she lays out a great pro shop with the proceeds going to the Team’s travel and tournament expenses. 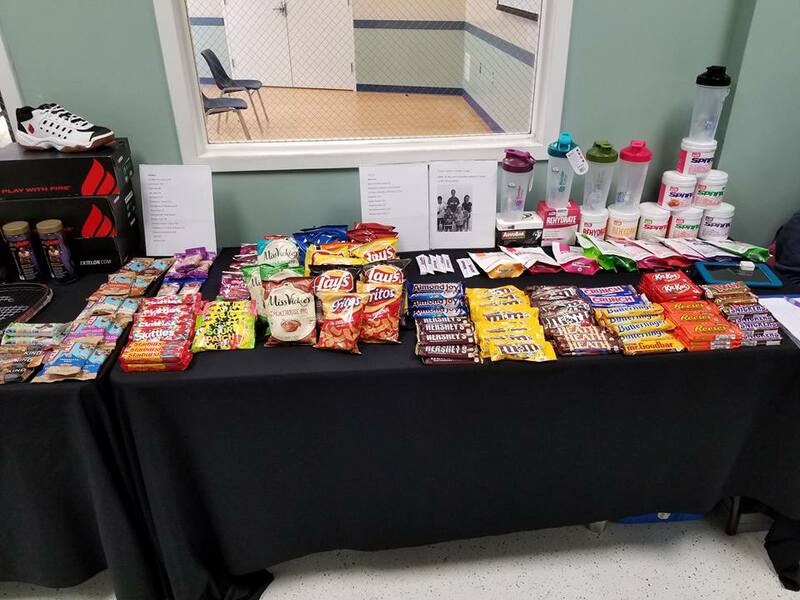 If you see her at an event, be sure to pick something up! The weekend started with the A Singles division, pool play, 12 players. Morgan Davis was the winner on the day! The B/C Singles division was next, round robin, with 4 players. Jack Yang took the win! 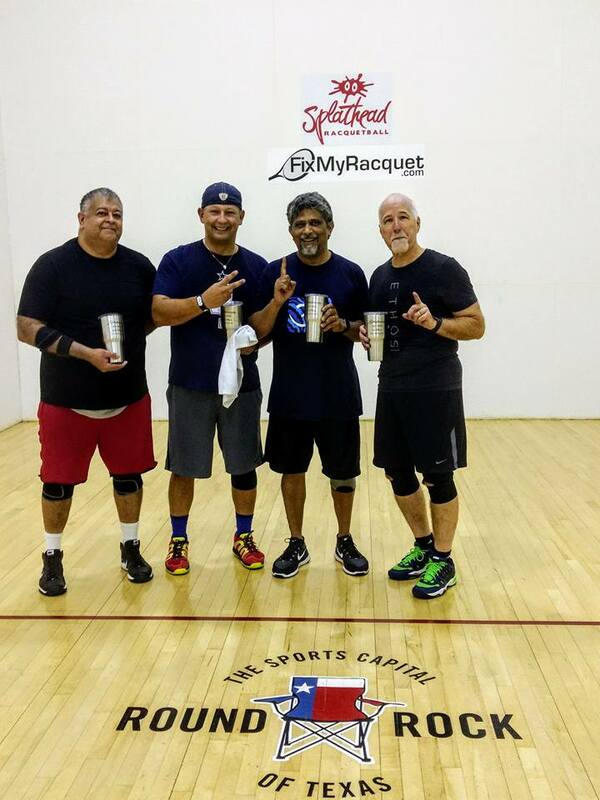 The Open/Elite Singles division took the rest of the day on Saturday, 12 players, pool play. Noel Chapa took the win! 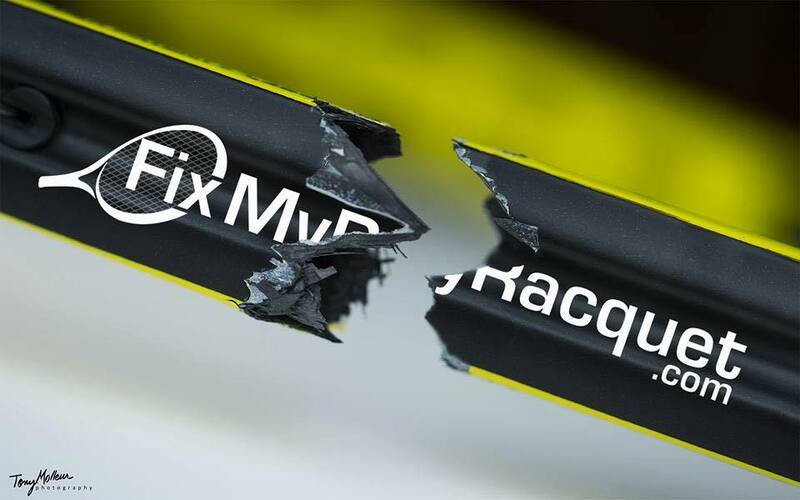 Fix My Racquet Open singles finals. The second day of the event started with Men’s Open Doubles. Fifteen teams battled thru a pool play to get to the semifinals and then finals matches. 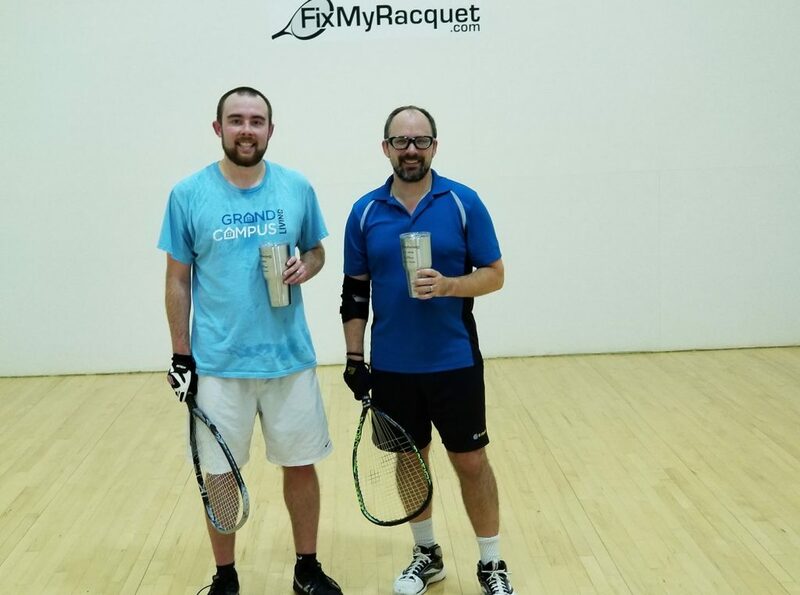 John Rhodes and Richard Eisemann came up with the win! Men’s A/B Doubles followed shortly afterwards, 4 teams, round robin. David Hughen & Sammy Maruri came out with the win! Mixed Doubles ended the weekend, with 5 teams. 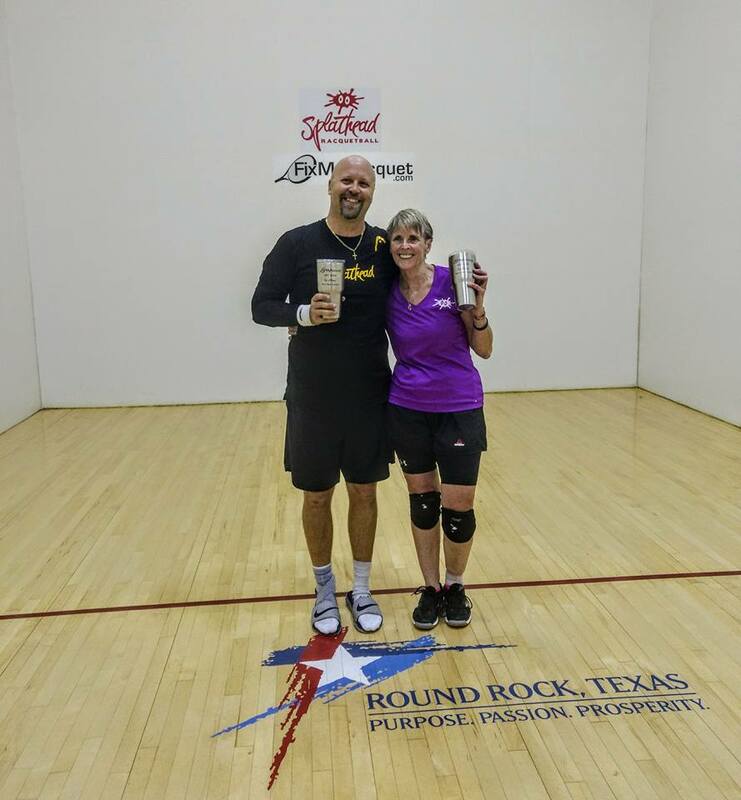 Brent Poss and Sandy Rios took every match in the round robin! 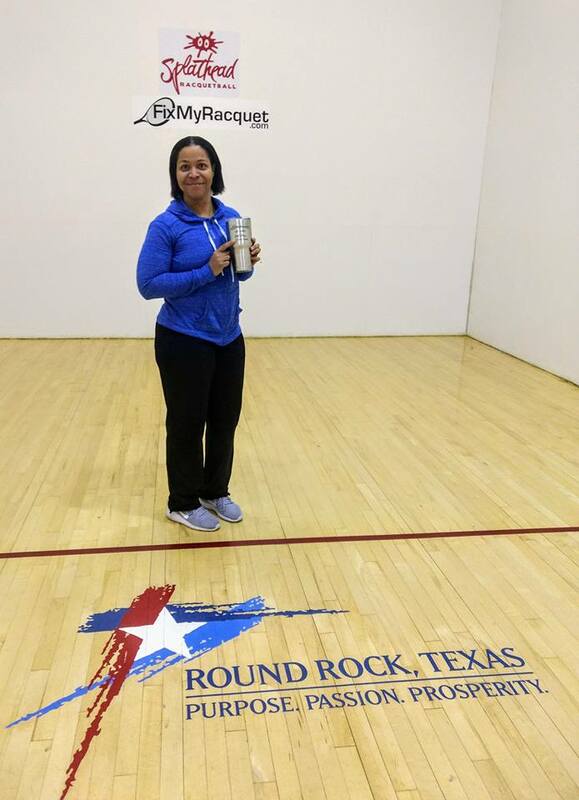 The second place Mixed Open team had already half left the building by the time the trophies were distributed, so only Julienne Arnold of the TexasRacquetball.org website (and Texas Racquetball Association board member) was still around to be photographed! Her partner was Bruce Robles. 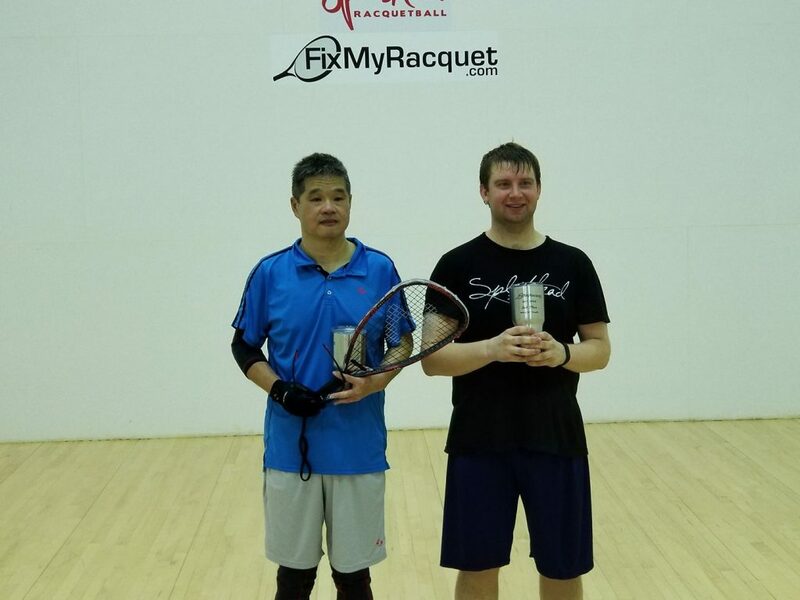 Open Doubles First Two Games courtesy of Racquetball IsNotACrime! 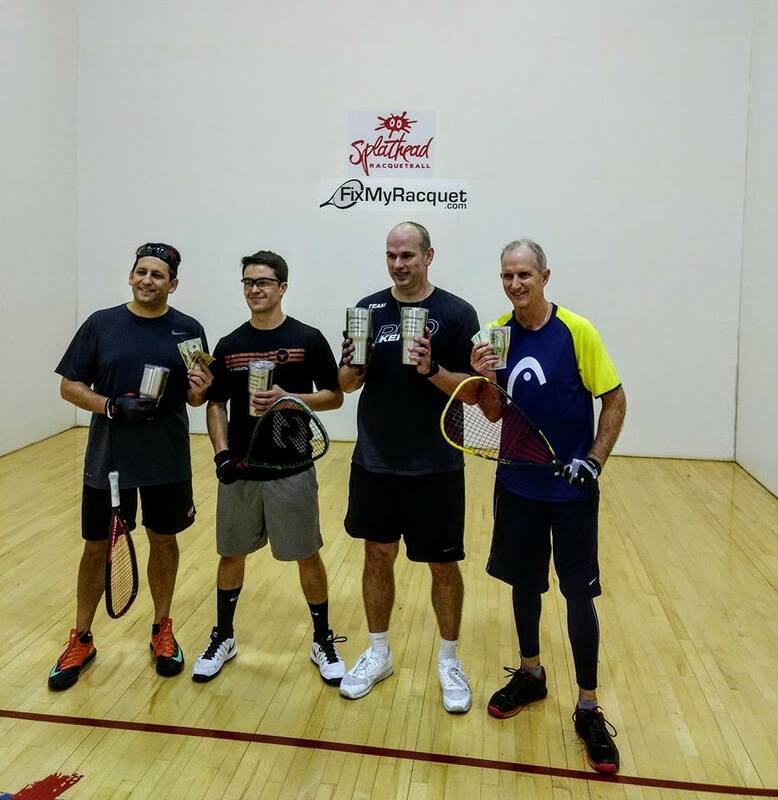 Open Doubles Tiebreaker Game courtesy of Racquetball IsNotACrime! 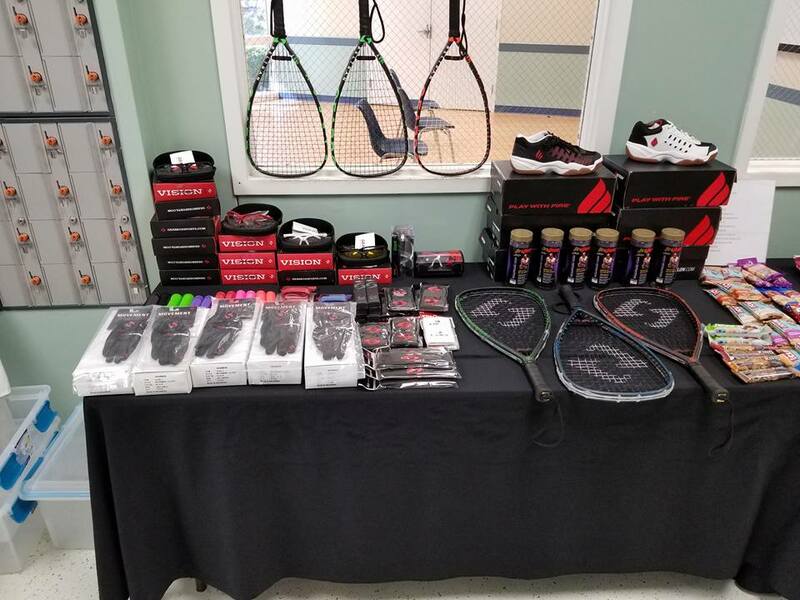 Thanks again to the FixMyRacquet.com team and to the tournament directors for another great weekend in Round Rock, Texas!